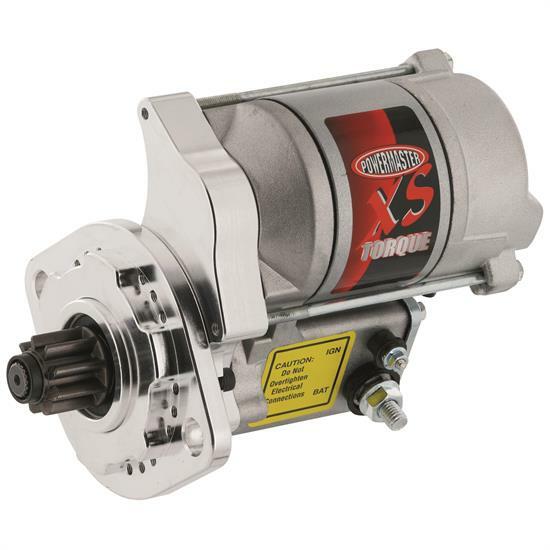 This eight pound, high-torque gear reduction starter clears all headers and oil pans where original equipment starters won't. Also has no heat soak problems. With a 4.4:1 reduction ratio, the 1.4 kW motor produces 200 ft.-lbs. of torque. Fits '51-'58 Chrysler 331-354-392 Hemi with 146 tooth flywheels. Powermaster's warranty is one year from the date of purchase on all street rod components, and 90 days for any component use for an off road or race application. Powermaster will provide technical support regarding warranty claims and inquiries directly to the purchaser to help resolve any warranty claims or necessary technical support for warranty resolution. Component or components can be returned to Speedway Motors as long as the product is still under warranty. All customer service inquiries pertaining to warranty and defect claims are to be handled by Speedway Motors if under one year street or 90 days race. If the product is out of warranty please contact Powermaster direct to discuss their repair and return program.